The Essential D. G. Jones has distilled the essence of the man’s work into a small, potent package. In the latest in its outstanding “Essential Poets” series, publisher The Porcupine’s Quill presents a concise but grand retrospective in The Essential D. G. Jones. Indeed, unlike much of modern poetry’s stuffed-to-the-gills allusions and references (classical and pop-cultural alike), Jones’s poems utilize such devices sparingly, with exception of the poem “Odysseus”— for obvious reasons, given its title. 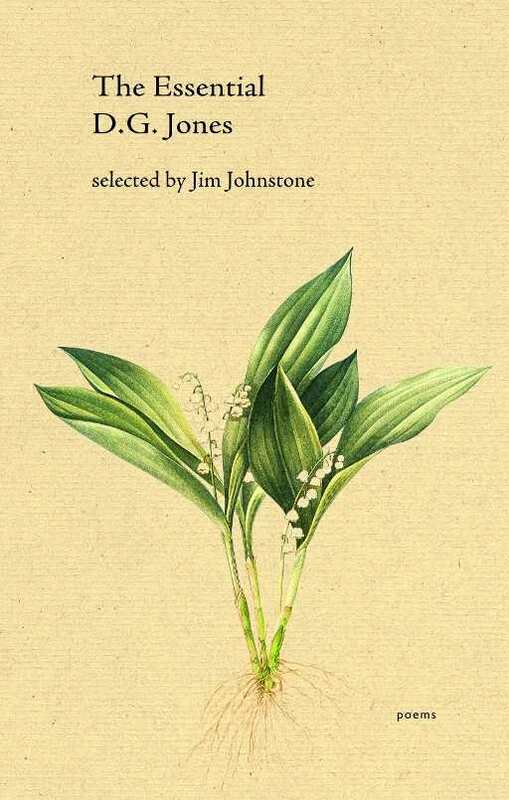 When Jones does use literary references, it’s often to deliver vivid imagery, as in “lily-of-the-valley in a glass / stems tangled like Ophelia’s hair” (from “Spring Flowers”), or in describing sun and flowers as “Nanabozho’s gift” (a reference to an Ojibwe creation myth, from “The Perishing Bird”). Jones uses human creations to illuminate nature and the way human beings relate to their environment. Deceptively simple at times, Jones’s poems traffic in subtlety, as if they were a series of still lifes or sound recordings layered atop one another, slowly giving up their secrets, as in “Winter Comes Hardly”: “winter is boredom / the slow shift of the light / filtered by shutters, the late afternoon / light under eaves, in the weathering / grain of the shingles”. Despite his fondness for nature as a touch-point, Jones shows a number of diverse styles; those more interested in poetic wordplay will appreciate poems like “The Pioneer as Man of Letters,” in which Jones gives creative expression to the outdoors using an obtuse alphabetic formula. Providing a wide representation of Jones’s evolution as a poet, The Essential D. G. Jones offers poems from eight collections spanning thirty-eight years, with an additional four poems that had gone uncollected at the time of his death. The Essential D.G. Jones has distilled the essence of the man’s work into a small, potent package that proves itself truly essential for any lover of poetry.